AIA Silicon Valley is proud to present the 4th Annual Silicon Valley Home Tours, a tour by Architects on Saturday, May 5, 2018. Open to the public, this self-guided tour is a celebration of residential homes designed by architects. The dwellings featured are cutting edge modern in design, imaginative in the uses and blends of materials, and sensitive to both surrounding neighbors and the environment. Through teamwork, collaboration, and a shared vision, the licensed architects bring their homeowners’ dreams to reality. The four homes are located from Saratoga to Los Altos Hills. Included on the tour are a bold minimalist home in a steep and challenging landscape; a modern, warm, family-friendly interpretation of an East Coast Colonial abode; a stunning home that floats in the canopy of a dense oak grove in the foothills; and another residential design that preserves and enhances an existing oak woodland and seasonal creek through a rich palette of color and natural textures. These homes range in size from 2,600 to 7,000 SF. A modern, warm, family-friendly remodel of an existing three-story traditional East Coast Colonial home was taken down to the studs to allow for a clean slate of materials, for design, and constructability reasons. This house floats in the canopy of a dense oak grove in the foothills just west of Silicon Valley, offering a completely glass-walled house, protected from the direct rays of the sun, yet filled with dappled sunlight. Set in the foothills of the Santa Cruz Mountains and shaded by mature heritage oaks with dense canopies, this home features a high level of design in almost every interior detail and features the skills of many of the Bay Area’s finest craftspeople. We hope by the end of the tour, you are inspired for your own home’s potential. To learn more, please contact the AIA Silicon Valley at 408-298-0611 ext 101 or email director@aiasiliconvalley.org. 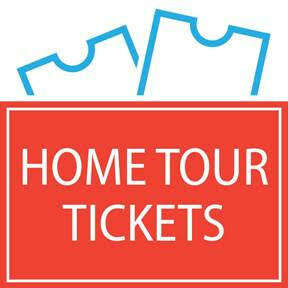 What makes the Silicon Valley Home Tours different than other home tours? The Silicon Valley Home Tour was created to showcase the talents of bay area residential architects with the goal of educating homeowners. On the tour, you will observe first-hand how working with an architect can transform ordinary living spaces into responsive, tailored, domestic environments using a variety of design solutions. BKG Structural Engineers is a premier structural engineering firm located in the mid-Peninsula of the San Francisco Bay Area with projects throughout California. We specialize in new high-end residential construction, remodels, and light commercial work. With a staff consisting of 11 engineers, our team brings the expertise to tackle nearly any structural engineering challenge. We’ve had the pleasure of working alongside many of the architects featured in this home tour and in years past. We look forward to the opportunity to work with you on your next project. project. Our services, from pre-construction to construction, are always handled professionally with unparalleled expertise and the focus on making the process enjoyable. S. R. Freeman, Inc. is a group of people who love to build custom homes! We started in 1992 as guys who didn’t mind getting our hands dirty and working hard. Our reputation meant everything to us, and delivering quality every time is what kept us going day after day. All these years later, our values haven’t changed. But what has is our ability to deliver outstanding craftsmanship to customers. From the bidding stage forward we approach the project as a valued partner. Whether it’s wood frame construction in complex homes or remodels, or integrating structural steel and high end exterior finishes, S. R. Freeman is the go-to resource for high-end contractors and homeowners throughout the San Francisco Bay Area for a reason – wo do it right the first time, no matter what it takes, with skill, expertise, and professionalism. And that’s something we’re proud of every day. Da Vinci Marble is a family run local business whose goal is to provide the absolute best quality materials and excellent customer service, expertise, education and design assistance as well as offer fair, consistent, and competitive pricing. We are located in the heart of the peninsula and are the Bay Area’s premiere destination for the finest selection of slabs, tile decorative tile, quartz, porcelain, ceramic and more.